The sluggish housing market with high prices and a lack of housing stock is not just affecting those looking to buy and sell but also the estate agents who will be selling the properties. A new study from Moore Stephens has found that around one in five estate agents are at risk of going insolvent. Financial distress is currently being shown as around 5000 High Street estate agents including Foxtons and Countrywide showing signs of a squeeze. As fewer properties are being put on the market, High Street agents are competing against a larger number of competitors for a smaller amount of properties across the UK. The main competition is coming from online estate agents such as Purplebricks, eMoov and Yopa who don’t charge commission on purchases and therefore the cost is less for the seller who also has more control over the sale of their property and the viewings. As a result, more and more people have turned towards online estate agents as they benefit our busy working lives especially as wages are constantly being squeezed. However, it is not just the appeal of the online agents that is harming traditional estate agents, a traditional High Street agent has increased overheads including rent, staff costs, energy and water bills and company cars. Plus, as property websites and apps become the place to go when looking to buy a home, it has helped to undermine the role of the estate agent. Now many sellers don’t see estate agents as the only person that can market their home and they feel like they could do just as good a job as long as the property is listed online and they can manage their own bookings. So as the property market continues to stagnate, it will only become more and more difficult for High Street agents to claw back their market share by obtaining housing stock to sell. Property sales have fallen by 32% from their pre-crisis peak of 1.7m transactions to only 1.2m last year suggesting that people are staying put with homeowners looking into expanded their property as a way to grow the value of their home; over the last year, planning applications have risen from 29,041 in 2015 to 29,654 in 2016. 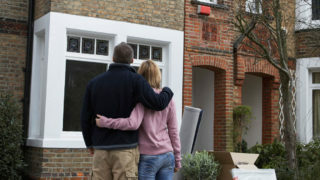 So as a third of those with a home already on the market are cutting the asking price, new figures from the Royal Institute of Chartered Surveyors (RICS) suggest a fourth consecutive monthly fall in the number of properties being put on the market; it really isn’t any wonder that High Street estate agencies are struggling to grab market share, make a profit and as a result, facing potential insolvency.